Technology analyst Elearnity has published research insights into learning management systems and bespoke e-learning development in the UK and EMEA. 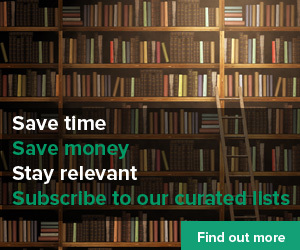 The research uses the analyst’s newly-developed 9-Grid model and is based on independent analysis and insights from the organisation’s corporate research network of over 150 organisations including BP, Lloyds Banking Group, Rolls Royce and Vodafone. Performance – comprising of two elements: market performance and customer performance. Potential – scope, capability and sophistication. Total cost of ownership – the FULL cost of acquiring, implementing and operating the solution (typically over a 3 year period). Importantly, this includes both internal and external costs. Future trajectory – Elearnity’s view of their direction of travel in terms of performance and potential, relative to their current position and the market as a whole. 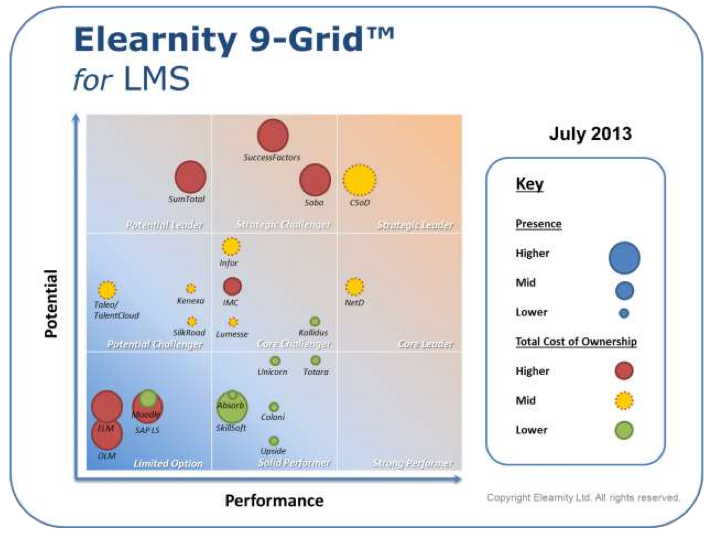 In its 9-Grid analysis of LMS providers, Elearnity rates Sum Total as a ‘potential leader’, SuccessFactors and Saba as a ‘strategic challenger’ and Cornerstone on Demand as a ‘strategic leader’. Following behind are the ‘potential challengers’ Taleo, Kenexa and Silk Road. E-learnity says The 9-Grid approach has been created in response to what it sees as a lack of depth and flexibility provided by existing analyst models. It hopes the 9-Grid model will help buyers trying to decide which LMS and e-learning solutions best meet their needs. The two 9-Grid models released today are the first in a series from Elearnity focusing on the main segments of the learning and talent market. Elearnity will be releasing further 9-Grid™ models later in 2013, including for Integrated Talent Management and for E-Learning Authoring Platforms, with others to follow. To read the 9-Grid analysis of Learning management Systems, click here. To read the 9-Grid analysis of Bespoke E-learning Development, click here.